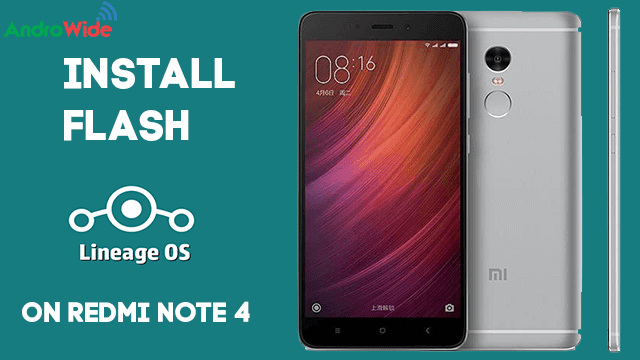 Hello Folks, in today’s post I am going to tell you that how to install/flash LineageOS 13.1 on Redmi Note 4, as we all know that Xiaomi has launched this device back in January 2017 and till then this device gets out of stock many time on E- Commerce websites. The Redmi Note 4 has some very good features like 5.5 inch Full HD Display, Snapdragon 625 Processor with a Clocking speed upto 2.2 Ghz, also features 13 and 5MP Camera, with a huge 4100 mAh Battery. Now moving to the Topic that how to flash Lineage OS on Redmi Note 4, before we start installing Lineage OS on Redmi Note 4, lets first discuss what Lineage OS is? The Lineage os is an Open source Android Based Mobile Operating System. Lineage os is made by the developers of CynogenMode os which was a very well-known Custom ROM, many of us aware of this. That CyanogenMod has announced that they are not giving any further updates to the OS, and migrating to Lineage OS then the Lineage os Borns. As cynogenmod the lineage os is also compatible with many android smartphones, so if you want to flash this custom ROM on Your Android Device you can always do this by following this tutorial you will be able to flash Lineage OS on Redmi Note 4 Indian Version (Snapdragon 625). Now Lets start the Process of Installing Lineage OS on Redmi Note 4, first I would like to tell you all that to flash any Custom ROM on your device, your device should be ROOTED and Custom Recovery should be installed on it. So now I assuming that your Redmi Note 4 is Rooted and Custome TWRP Recovery is installed on it, if you are looking to ROOT your redmi Note 4 indian version then Follow this Link to Get Root Access on Rredmi Note4. Now after Rooting and installing Custom Recovery You first need to Take Full Nandroid Backup of Your phone, so that if anything goes wrong during the flash, you can easily restore the Backup and you will get your device on the Original ROM on which it was running. So after taking a Full Nandroid Backup, You will need to download the Following Files on Redmi Note 4. Now After downloading these files on your Redmi Note 4, lets go into Recovery Mode, By Switching off the device and Pressing Volume Up+Power Button simultaneously, and now click on Wipe and select Dalvik, System, Data & Cache and Swipe to Wipe these things from Your Device, now it will delete the Dalvik and system data along with Cache, so after doing this step go back to the main screen of TWRP Recovery and click on Install, and select the LineageOS ROM which you have downloaded on Your Redmi Note 4 Device, so click on lineageos and swipe to install the ROM, it will take upto 5 minutes to be flashed till then wait, and after getting flashed click on wipe dalvik and cache. Now after the LineageOS ROM has been flashed on Your Redmi Note4 Device, lets continue and install the OpenGapps so that the Google Apps can work on the device, to do this go back to the main screen once again and click on install and this time select the Open_Gapps-arm64-6.0-20161111.zip and do the same, swipe to flash this file, it will also take up to 3 minutes and after this once again click on wipe dalvik and cache. Conclusion: As per my recommendation this ROM is in very initial stage, there are a lot of bugs, so I would not recommend you to Flash this LineageOS Rom on Your Redmi Note 4 as of now, but when the Bug Free Version will be available I will update here.